GALLAS RETIRES - Your thoughts? William Gallas has announced after two decades in the game that he has called an end to his football career and has retired from the game. I am asking what your lasting memory of the controversial defender was. For me, it will always be that right foot strike from 25 yards against Tottenham at Stamford Bridge in 2005-6 that flew into the corner late on! We cannot forget or ignore the controversial moments we have witnessed in his career from the moment he forced his move from Chelsea, to his time at Arsenal and the famous protest at Birmingham as he sat on the floor with his back to the game as he was in disagreement at the decision to award it, and finally to his time at Tottenham which was pretty much understated. It's important to remember his time at Chelsea and for the most part, he was outstanding. At one stage he formed a formidable partnership with John Terry at the heart of the Chelsea defence. 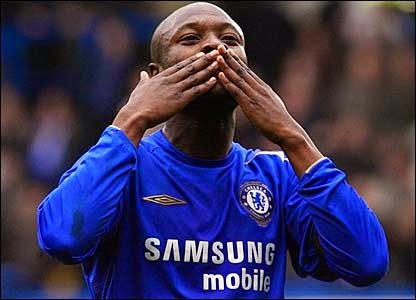 Gallas must also be remembered to his goals and the knack he had to find himself in the right place at the right time. It's a shame that everything else after those moments will distort peoples view and opinion but I guess that's life! William Gallas was and played an important part in Chelsea's change of fortunes and was instrumental in our our back to back Premier League titles in 2004 and 2005. What do you think of Gallas now he has retired?